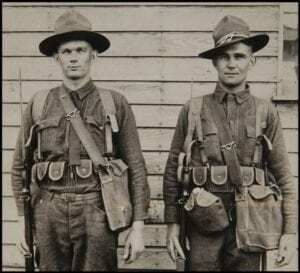 THE HAVERSACK HAS BEEN A TRUSTY COMPANION TO OUTDOORSMEN OF ALL ERAS. With the ability to travel light, You are able to have your essential kit right by your side. The haversack makes a great pair with any main ruck. 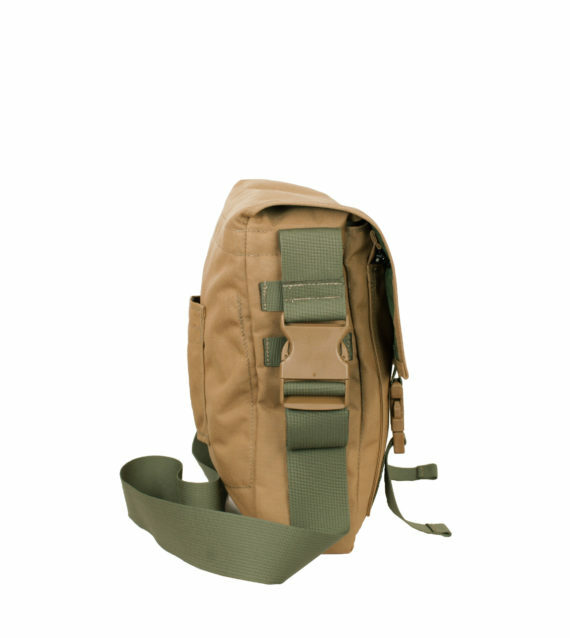 Drop your ruck at camp, then travel light with the haversack while you scout around. Strap length is about 60 inches. –Fabric is Highly Water Resistant. Haversacks with the Added Velcro Panel will have a few Tiny needle holes on the underside of the main flap. This was caused by removing the center logo. Hands down the most rugged and best put together piece of gear I have ever owned. Amazing bag. 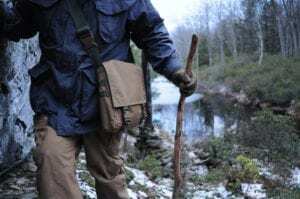 I have a slightly older model of the Hidden Woodsmen Haversack that has already lasted me years and shows no signs of wearing out. An excellent design using quality materials and superior workmanship. I don’t need a new one, but I’m considering getting one anyway because mine doesn’t have the hatchet loop that now comes as a standard feature. If you are thinking about purchasing some kind of haversack, this is the one to get. Would also make an incredible gift for the outdoorsman in your life. Buy this bag now! You won’t regret it. 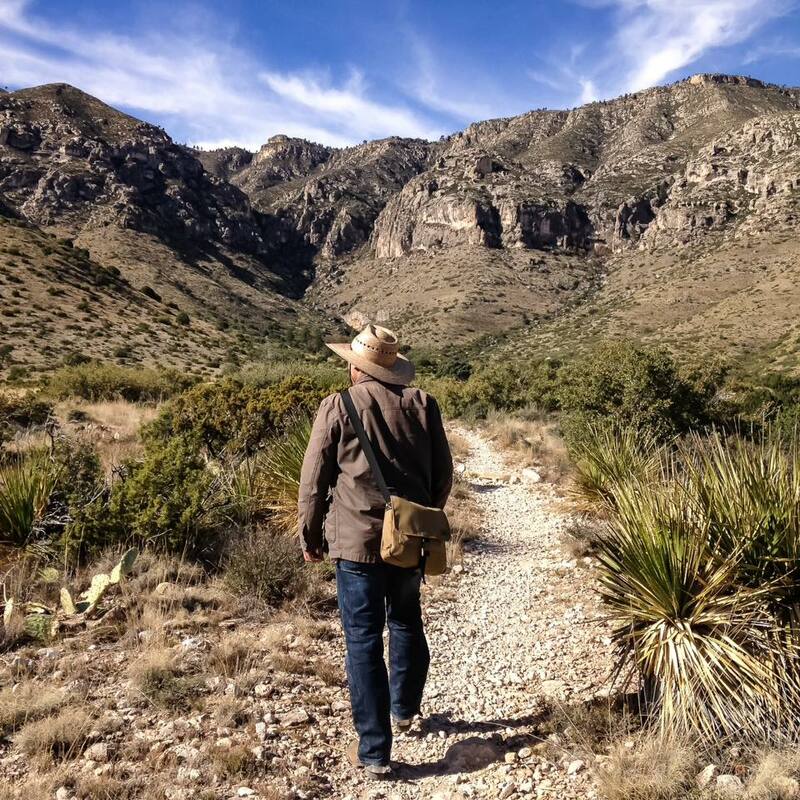 The 2016 Haversack is a high quality rugged handmade piece of field gear. 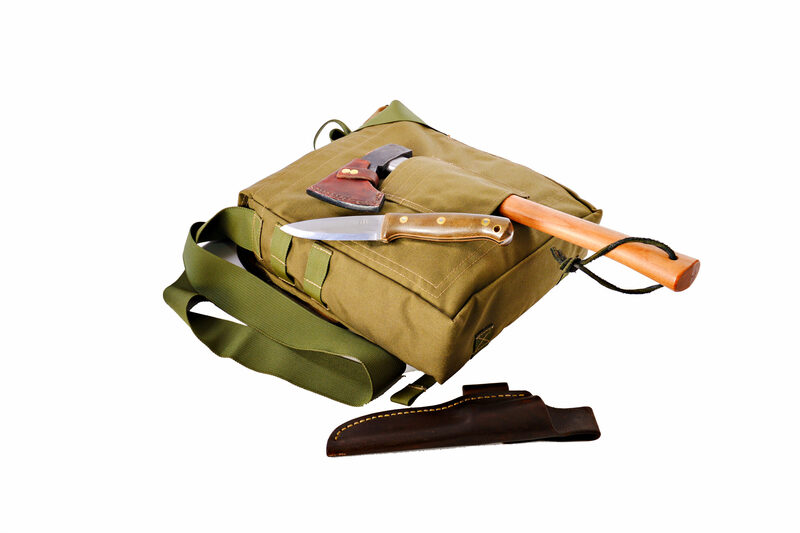 It’s comfortable to carry and it’s perfect for my needs as a bushcraft bag. I’m very satisfied with my purchase and highly recommend this bag to anyone looking for a durable haversack. Thanks Malcolm! Just came in the mail, wow what a nice bag. Strong materials, good design and plenty of stitching. Speaking of the stitching, some people might be a little picky because it’s not perfectly even. Just like a Gransfors Bruk axe isn’t as symmetrical as your average hardware store axe. It’s a sign of being handmade. 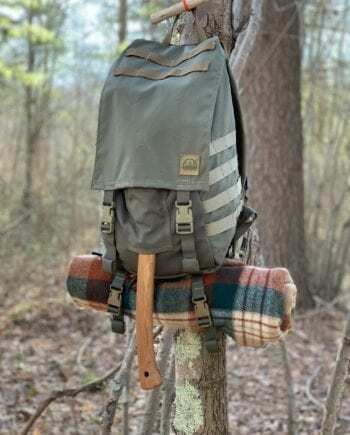 But the Gransfors is considered by most to be the Cadillac (I’m old, what can I say) of axes and I think this little bag is the Cadillac of haversacks. It’s all packed up with gear now, so, I’m off to the woods. Don’t hesitate, buy one. thanks mark, its hard to keep every haversack nice and straight when it is all made by hand. only a machine or assembly line can make nice clean stitches all the time every time. This is easily one of the best bags that I’ve ever owned, and I’ve owned a “few”! I can’t recommend this bag enough. I have two of them. One I use for tramping through the woods (older model) and the other (newer model) is the marshal gray. The latter was by my side on recent trips to Disney World and New Orleans. It was the perfect size to carry the things that I had needed for the day as well as some “just in case” stuff. Great gear, Malcolm! This a very well made Haversack from the highest quality materials. It can fit more than you think. The double layer provides superior durability. The hatchet loop works well. 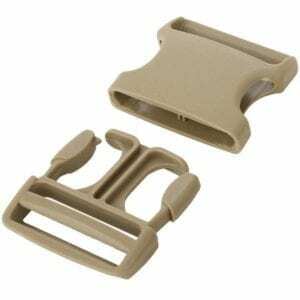 All the buckles and webbing are military grade and the shoulder strap is very comfortable. 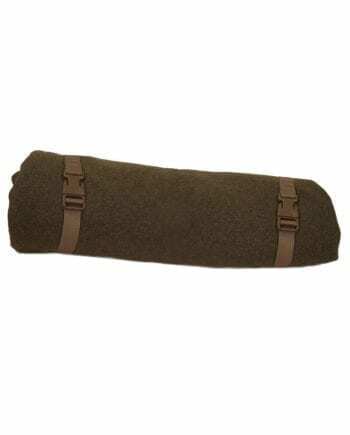 I use one of the gray fire bags to store smaller items and an orange one for my fire kit. The possibles pouch fits great in it too. This is the best bag like this I own and should last a lifetime. I have been using this bag from going to the woods to going to the office my wife loves that if we go for a walk with the dog I have water,lead,the waste bags,treats etc.Best made kit I have I don’t leave home with out it. Best EDC haversack hands down. Great tinder pouch and fire bag as well. Getting a second one ordered now. I have had mine for past 18 months and no issues. Great gear made by a great guy! Amazing haversack. Well built and everything has a purpose. Two things I really like about it. The strap is long and well built. Being 6’5 usually means haversacks end up riding slightly under my armpit. This one is fantastic. RIdes right on the hip where it should. Secondly it looks great in public. Doesn’t have a overly hunting or military look to it so you won’t get “that look” from people. Overall, very satisfied. Will buy another in the future. There’s a lot of pride that went into making this haversack. It is heavy-duty and well built. Plenty of room for everything needed for a day hike. I love the loop for carrying a hatchet as well. I’m looking forward to taking this on many hikes. Nothing says it better than “Made in the USA” which is sewn on the outside of the bag. It shows pride in the product and pride in the maker. I’ll be proud to wear this everywhere. Thanks Malcolm, tremendous job! 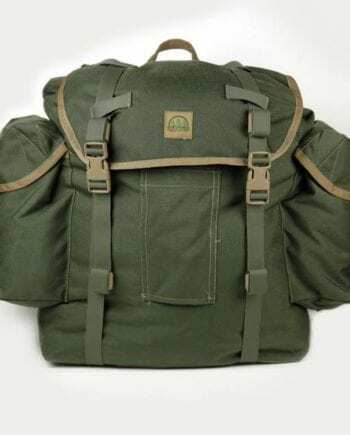 I ordered one of these Haversacks in Ranger Green and, after a very short wait for it to arrive, I tore open the box was absolutely blown away by the quality. This bag has the feel of an heirloom to it and has the distinct look of being a product of a craftsman who truly appreciates what Made in the USA can mean. The bag has a large internal section with a small divider sewed flat onto one side, which would be perfect to stash a bandana, or some wet wipes, or a small journal. Under the flap there are two more slim pockets, one open at the top and one secured with a heavy duty zipper. There are also rows of MOLLE webbing on each side of the pack so it can be expanded as one sees fit. This thing is bombproof. Absolutely rock solid. And yet the strap won’t cut into the side of your neck and carrying the bag slung across the body is comfortable as can be. 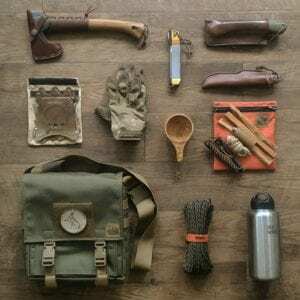 This thing would be perfect for a small range bag, for an EDC bag, or for a small kit to help you better enjoy the dirt while walking through the woods. 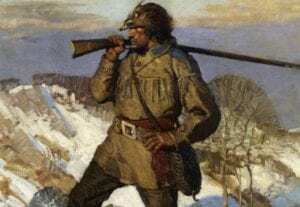 I’ll be using mine for afternoon forays into the wilderness while searching for oozing clumps of pitch, good fatwood, and the occasional piece of burl. I got this after watching a review by a couple people. I have had a lot of packs and bags maxpedition and vanquest before I found this. But this bag is literally perfect it’s more comfortable and easiesr to use than the competetors. I didn’t know about the extra patch panel on the outside you can get. So I’m going to order another one in brown with the panel. I’ve been using it as an EDC bag and it’s perfect for that and taking walks in the woods. I’m a minimalist so it fits exactly what you need and not all the extra stuff you don’t. Keep up the good work you have a great product! Superb quality and unparalleled attention to every handmade detail. Worth every penny. Perfect travel companion for any kind of adventure. What can I say, IMHO this is the best Haversack that anyone can buy! Can’t beat the craftsmanship and durability of Hidden Woodsmen Gear! Because Malcom has experience using gear out in the woods ,he has thought of everything one could need in a Haversack! What’s awesome is that it’s just as practical in Urban settings as it is out in the Woods. Buy one and you’ll thank me later! Awesome pack. Took it with me to Algonquin Provincial Park and it was invaluable. I purchased my Haversack in Ranger Green with Coyote Webbing just over a month ago now. I waited this time to give it some testing before I summited my review. I am a student at the University of West Georgia, I have used it as a school bag to carry my planner, folder, calculator, and pens and I have also used it in my various trips to museums and parks and while hiking and it has surpassed all expectations. It is extremely durable, comfortable, well made, and usable. I would suggest this bag to anyone in the market for a haversack, messenger bag, or “modern possibilities/shooting bag”. I am more then proud to own such an amazing product and support Mr. Malcolm in his small American business. I just bought my second one of these. You can fit a ton of gear in them and they are built like a tank. You won’t regret buying one! Ich liebe dies kleine Tasche! Gekauft als Kanu Tasche für das Notwendigste beim Touren. I love this tiny little thing! Bought it as Canoe bag for the Essentials. I really like the quality and craftsmanship of these products. This haversack has plenty of room and organization for a day trip. I couldn’t be happier. I primarily use this bag for my travel/personal bag for travel. Its traveled with me to Bosnia, Croatia, Serbia, Sweden. It’s the perfect size. The wide shoulder strap feels so nice even with a heavy load. Low profile, fits books, passport, money, extra shirt all in an organized fashion. 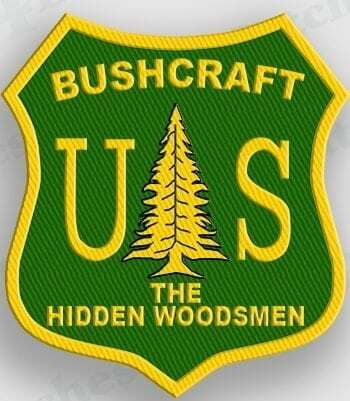 I’ve gotten asked about my hidden woodsman velcro patch, “who is that guy?”. I just say, you wouldn’t understand.